Michael jordan - The will to win, the desire to succeed, the urge to reach your full potential, these are the keys that will unlock the door to personal excellence. 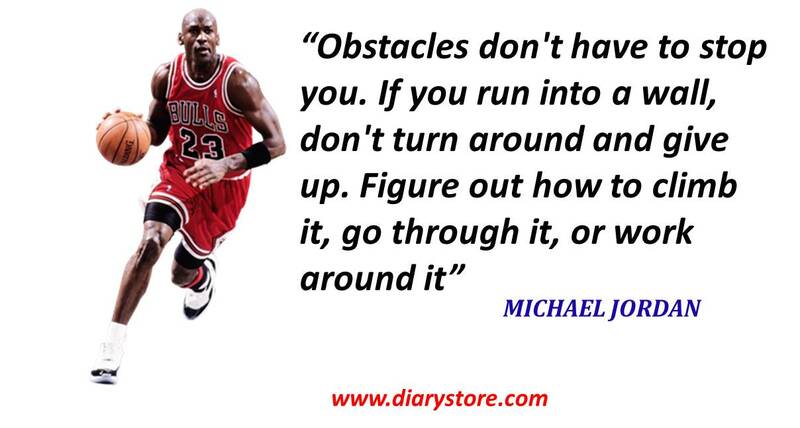 These words by Confucius perfectly describe the living legend Michael Jordan the basketball superstar. Michael Jordan was born on February 17, 1963 in a place called Brooklyn, New York, United States. Michael’s parents were James and Deloris. They had five children. Michael was the second youngest. They lived in Wilmington. Since childhood he was more interested in sports and played baseball, football and basketball. Though he was more interested in baseball, Jordan also loved playing basketball on the court in the backyard which his father had built. Practising with his brothers made him more determined and a better player. Jordan was not selected in high school varsity basketball team as he was only 5’11’’ and the coaches thought that he could play for the junior team. Greatly disappointed he started practicing persistently which helped him grow to 6’3” by the time he reached his 11th grade. He played so well in the junior team that his talent fetched him an invitation to attend the Five Star Basketball Camp in Pittsburgh, Pennsylvania. In this camp basketball players are ranked when they compete among themselves. 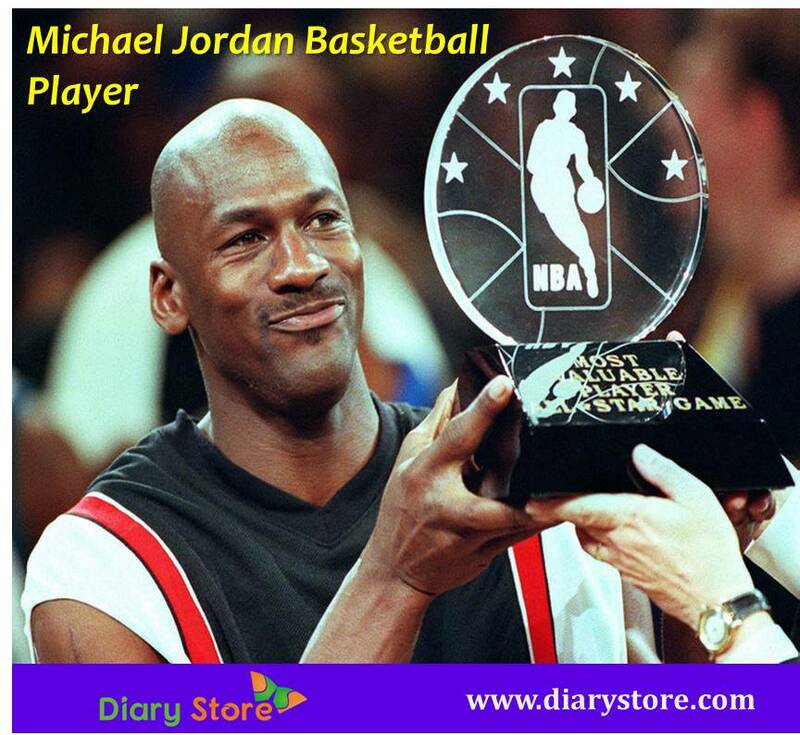 Jordan won 2 MVP awards and ten trophies which boosted his zeal to aim for the college basketball scholarship. He graduated his senior year. Simultaneously as a senior, Jordan averaged 27.8 points per game and that earned him the basketball scholarship to University of North Carolina. Michael now 6’5” became a famous college player. Once he finished his junior he had to decide whether to graduate or take up Basketball seriously but for the sake of his family to support financially he took up to NBA (National Basketball Association), North America and hence entered the NBA draft. Selected to play for the Chicago Bulls, he helped the team to win several matches. After representing Chicago Bulls thrice consecutively Michael was invited to represent 1984 US men’s Olympic Basketball team. The US team won gold in Los Angeles. Jordan again played a key role in winning the gold at 1992 Olympic Games as well which was held in Barcelona, Spain. After completing Jordan’s bachelors in Geography in 1985, he continued playing and breaking several records. He scored more than 3000 points in a single season and received the most valuable player award from NBA in 1991, 1992, 1996 and 1998. He won ten scoring titles award and six NBA championship rings. Chicago Bulls were constantly rising to success and Jordan was the driving force behind the Chicago Bulls. Michael completed his first season and won the NBA Rookie of the year award. He earned 28.2 points per game. A foot injury kept Michael out of almost 64 games in his second NBA season, later he joined and scored 63 points against the Boston Celtics. Jordan led and won 3 Chicago championships. But when Jordan’s father James was murdered by two teenagers, he was greatly depressed and decided to retire from basketball. But he continued playing baseball for a small league team, The Birmingham Baron for a year. Jordan re-joined Chicago Bulls again in 1995. This time he not only played on the court but also made a flash entry into movies. He starred in a movie called Space Jam in 1996. The film had Jordan paired with cartoon characters Bugs Bunny and Daffy Duck. It was a live action paired with animation movie. Jordan also helped his team in the NBA championships two times consecutively. Though Jordan announced retirement in 1997 he made a re-entry and joined the Washington Wizards and played for two seasons before finally retiring in the year 2003. In 2006 Jordan flourished as a business man, he bought a share of the Charlotte Bobcats and later on joined as the managing member of the basketball operations. Jordan was into several business ventures and is popular sports spoke person for brands Nike, Coca-Cola, Chevrolet, Ballpark, Wheatier, MCI and many more. Nike created a signature shoe for him called Air Jordan. He also does a lot of charity and hosts the annual golf event known as Michael Jordan Celebrity Invitational. In December Jordan divorced his wife Juanita Banoy ending his 17 year marriage, they had three children. On April 27, 2013 he married Yvette Prieto, a 35 year old Cuban American model in Florida. They are now proud parents of twin daughters Victoria and Ysaben. In 2009 Jordan was honored with Naismith Memorial Basketball Hall Of Fame, one of the greatest honours for a sports person. In 2010 Michael served as the chairman to the Charlotte Bobcats team. On January 20, 2015 he was honored as the Charlotte Business Journal’s Business person of the year 2014. In 2016 he was awarded the Presidential Medal of Freedom by Barack Obama, the Ex-President of America. Jordan’s net worth is estimated to be $1.31 billion by Forbes as of April 2017.